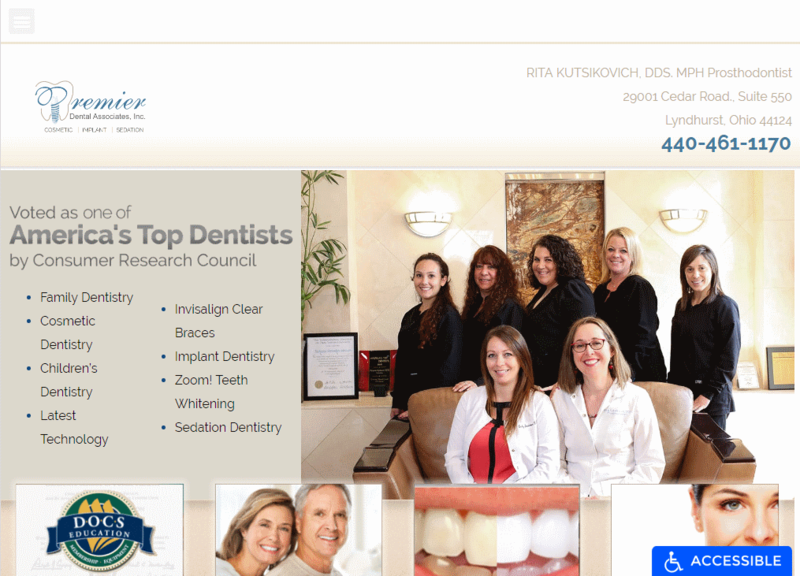 As part of the Premier Dental Family, Dr. Kutsikovich needed a site that demonstrated her particular office’s expertise while indicating her association with Premier Dental Associates. 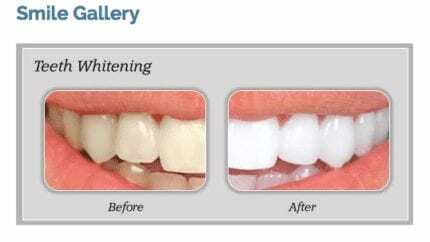 With a focus on restoring beautiful white smiles the site also needed to provide the impression of a fresh, healthy environment sure to restore your perfect smile. It all started with the selection of pink as the base color for the websites palette and expanded from there to touch on every aspect of the design of the site. Visitors needed quick access to information and immediate proof of what a visit to their offices could do for them. The prevalence of the smile gallery and cosmetic dentistry options, as well as the bright, vivid smiles of the staff, were all key to making sure that fresh, healthy gums and teeth were the first impressions that came to mind. We’ve already discussed the selection of pink, a color chosen for its association with tenderness and compassion, important traits for professionals working with those who likely have some reservations about someone looking at their teeth. The white element of the palette, bringing a sense of cleanliness and purity to the site, is understated throughout, used to accentuate the presence of pink and as a contrast to the orange that brings an inviting air of friendliness and movement to the site. • Contrast – There are two examples of great contrast in this site, and how contrast comes in degrees. The bright, vibrant orange contrasts sharply against the stark white to create a contact form that feels both inviting and encourages them to utilize it. The rest of the site relies on the refreshing and gentle contrast between pink and white, neither overpowering the other and relying on subtle distinctions. • Action Oriented – Orange and white provide a stunning contrast and the elements of these colors ensure that the viewer is driven to fill out the form without feeling forced or pressured. Orange is an inviting color that welcomes the reader. • Space – Dr. Kutsikovich’s website is extremely minimalist, with a very streamlined design that ensures that it’s easy to use and simple to navigate. Nothing here is overstated or takes up a lot of space. • Navigation – While everything said above is true, part of its design is making deeper questions about the services provided easy to answer. Whether you’re interested in seeing results of other procedures or want to learn more about the services they offer, it’s just a click away. • Contact Information – The contact information is immediately available when you arrive on the site, present at the top of the screen and encouraging you to pick up the phone and give the friendly staff at this company a call. There are some smart marketing tactics employed in this website, starting with the prominent placement of contact information. Contact information needs to be prominently displayed or easy to find in order to drive conversion. The color choice and prominent placement of the contact form is also essential, as well as the choice to only ask for a limited amount of information. Lengthy forms impact conversion negatively, but this form is essentially the perfect length. Finally, the site closes with references from other patients and two action buttons, one to promotions they currently have in progress and the other to information on making an appointment. Everything about this site is designed for easy flow-thru to conversion.